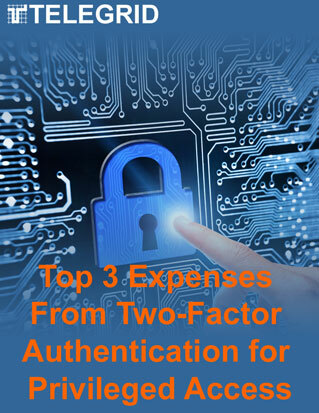 This paper describes the top 3 expenses from Two-Factor Authentication for Privileged Access in order to prevent insider threats. We have seen Two-Factor Authentication (2FA) use increase for remote access into networks (e.g., VPN, remote desktop) but its use for Privileged Access inside of a network is still limited. Indeed Gartner estimated that, as of 2015, Privileged Access Management systems had only been deployed by 20% of companies. This is in sharp contrast to general 2FA adoption which is over 50%, according to Gemalto. TELEGRID believes that this disconnect is due to the 3 expenses described in this paper.